* Freight and preparation included. Does not include taxes. Certain conditions apply. While every reasonable effort is made to ensure the accuracy of this information, we are not responsible for any errors or omissions contained in these pages. 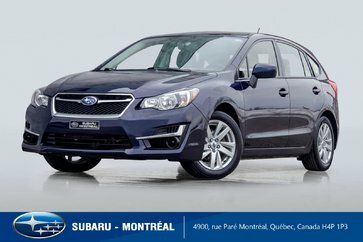 Please verify any information with your dealership's sales representative. 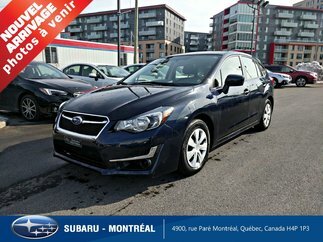 Are you looking for a used Subaru Impreza for sale in Montreal? 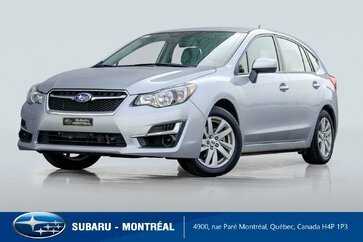 Your Subaru Montreal dealer offers a wide selection of models at the best prices in the region! Whether you opt for a sedan or a hatchback model, you are sure to get your hands on an exceptional vehicle you'll be able to count on for years to come. Do not delay and visit us! 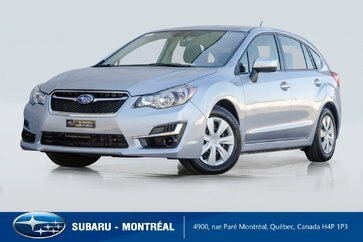 We are located not far from the West Island and the North Shore. 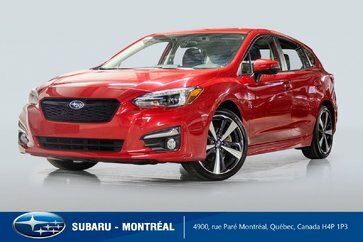 No matter which model year you choose, the pre-owned Impreza, near Laval, will have a sporty and slender look and will give you good performance. 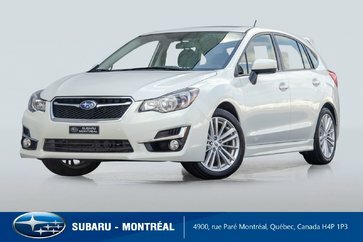 Indeed, its 4-cylinder 2.0-litre motor provides 148 to 152 horsepower or its 4-cylinder 2.5-litre engine with 170 horsepower for models prior to 2011 will give you good performance, while remaining fuel-efficient. 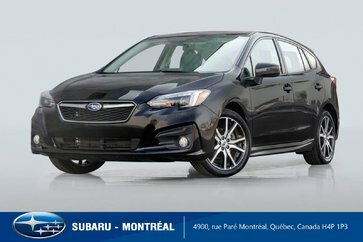 You could also enjoy a 5-speed manual or a powerful CVT gearbox. 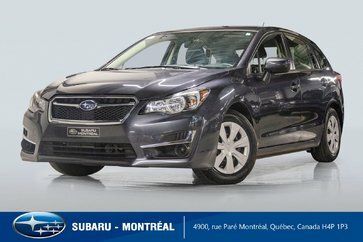 But the used Impreza, for sale in Montreal, offers a big advantage over its rivals since it is the only car in its class to offer a full-time 4-wheel drive, and not just any! 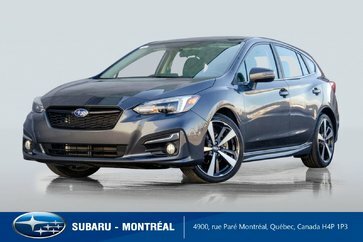 For many years, Subaru's 4-wheel drive has gotten unprecedented industry renown and it provides drivers with optimum traction regardless of road conditions. You will see: to try it is to adopt it! Being spacious, the pre-owned Impreza, near Laval, provides a trunk of about 340 litres for the sedan (depending on the model year) and a loading space of up to more than 1500 litres in the case of hatchback versions. 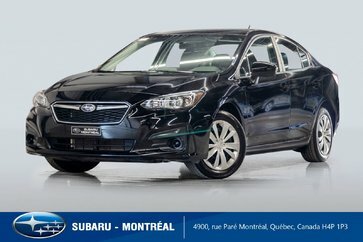 Many amenities are also offered depending on the model year, including air-conditioning, heated seats, cruise control, a reversing camera, a navigation system and Apple CarPlay compatibility and Google Android Auto, among others. 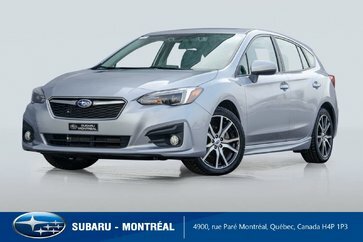 To find out more about our extensive inventory of used Impreza, for sale in Montreal, visit our website or visit us today at Subaru Montreal near the North Shore and the West Island! On site, you'll enjoy our current Subaru promotions as well as our exciting Subaru financing options. 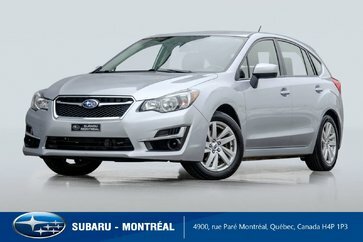 Whatever your needs and budget may be, we have the Subaru Impreza that will correspond to it!